Curtis’s book, Dark Places, is a wide-ranging study of haunting on film, connecting claustrophobic interiors of haunted spaces on screen with the ‘dark places’ of the human psyche. Curtis examines diverse topics, including the use of special effects to evoke supernatural creatures; the structures, projections and architecture of horror movie sets; and ghosts as symbols of loss, amnesia, injustice and vengeance. Dark Places also examines the reconfiguration of the haunted house in film as a motel, an apartment, a road or a spaceship. Extending beyond a conventional history of a film genre, the book is the product of Curtis’s extensive research into the history of optical and theatrical devices, 'gothic' literature, psychoanalytic theory, and writings on architecture and interiors. The book also results from the viewing and close analysis of over two hundred films from early ghost films to recent productions. 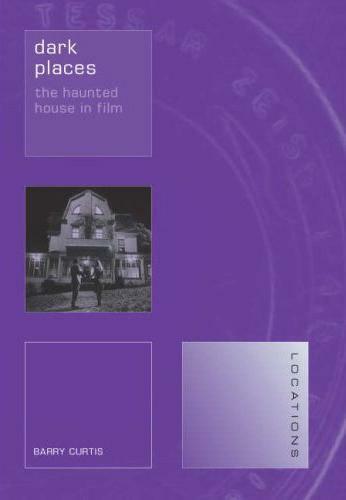 The book was widely reviewed: 'In considering the widest possible legacy for the haunted house on screen, and by bringing theoretical and multi-disciplinary sophistication to bear…Curtis has fashioned a noteworthy exploration of one of cinema's unsung icons' (Southwestern Journal of Culture, 2009); 'Curtis' study traces the way that filmed ghost stories have kept pace with technology, drawing on it and using it as a source of inspiration from the invention of X-Rays and the telephone in the late 19th century to present day cyberspace’ (Times Higher Education Supplement, 2009). Curtis was also invited to speak on the book’s themes in a number of different contexts, including a broadcast on BBC Radio Scotland related to the 'Dead by Dawn' Film Festival in Edinburgh (2010); the public programme for ‘The Surreal House' exhibition at Barbican Art Gallery, London (2010); and at 'Once Upon a Place, and Haunted Houses, Imaginary Cities', the first international conference on architecture and fiction, in Lisbon (2010).